I'm running our first raffle of the year. It will run for the whole month of March. All you have to do is post. Each post is like getting a raffle ticket, so the more you post the more chances of getting the prize. How do I choose the winner? I use a random online number generator. There are 25 posts on each thread. So what is the prize you may ask? 1. A KG t-shirt, they are in men sizes so they run big. I have on hand Large and Medium only. Hope you join and enjoy the conversation. Thank you! Looks like fun! I'm doodling around on my computer, looking out the front window & watching the snow fall. One of our dogs wants to outside again, ack! I will be happy when we can finally get our back yard fenced. Thanks for putting this on again Koko! It's been a little while but I'm back. I always come back! I'm almost finished setting up my 1st aquaponic system and I'll have photos for you all! It will contain some tropical fish and my 2 dwarf turtles. Two more aquaponic systems should follow quickly after this first one and I'm considering stocking one of them with YELLOW goldfish! Anyway, I came in to join the fun! Hugs and High-Fives all around! Ooh I absolutely love those little goldfish figures! Ever since I saw them, back when RainGarden started producing them, I always wanted some. Now I'll have the chance to have a whole pond full of them! It's still a few months away, but sooner than it's ever been before! I imagine I'll get a few from RainGarden to start, then breed them to fill the indoor (garage) pond. The other idea is to get a bunch for cheap from ebay seller "lewnews". Besides those two sellers, I don't know any one else who sells Yellow Goldfish. Know of any other sources? In the first system, I plan to grow some orchids, ferns and a few house plants. 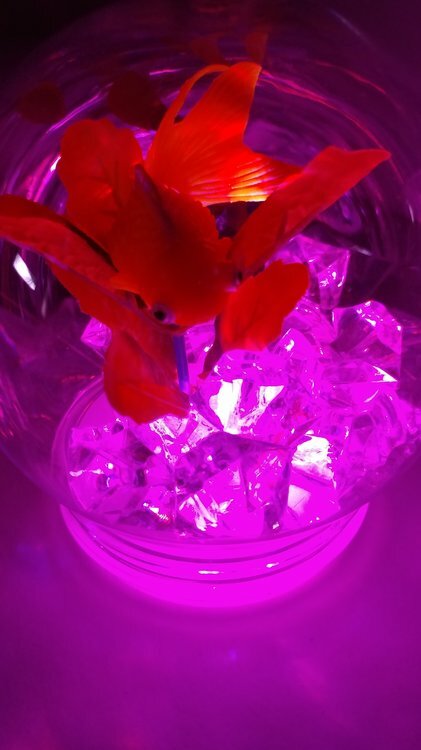 I'll be keeping tropical fish, not really looking to breed, but just my personal fish. 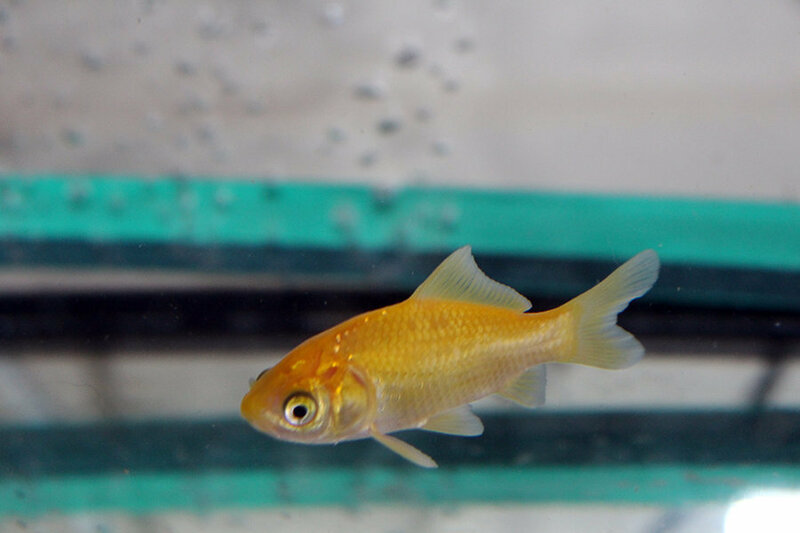 The second aquaponics system will have either Yellow Goldfish or Rainbow Fish (Glossolepis incisus and/or Melanotaenia Lacustris). The yellow goldfish and rainbow fish I'd raise to sell some offspring. Not sure what plants I'd grow in those two systems. However I'd love to find a way to grow anubias in an aquaponics system! Are there plants that do well in cold water? I don't currently heat my goldies, & temp runs right at 60F now. I admit that my present bare bottom set up is easier to clean, but I'd like to eventually do plants again. Do you mean aquarium plants, riparium plants, or aquaponic plants? Either way, the answer is "yes". Let me know what your looking for and I'll give a few examples or some info. Also, you can go bare bottom with plants, there are several ways! (I guess you mean aquarium plants . . . since you mentioned bare bottom tank). Oh they are beautiful! I especially love the first one. 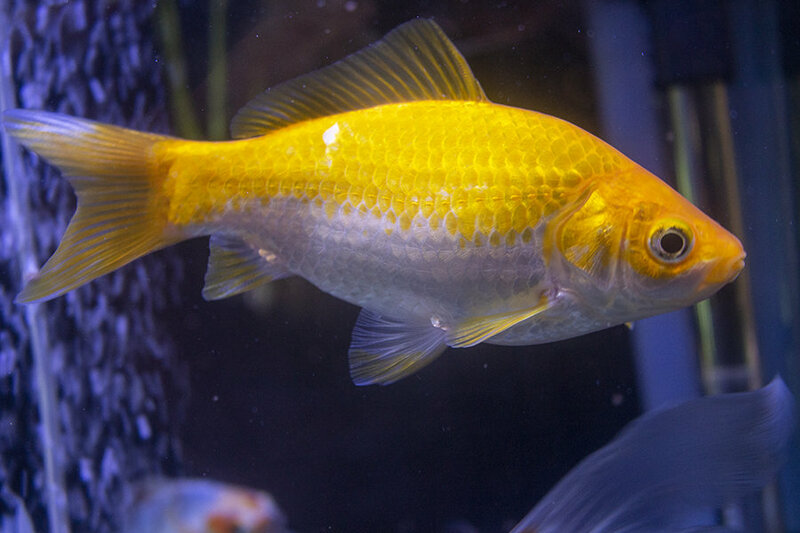 Commons are the only yellow goldfish I've seen in person. I haven't seen any yellows in person, but hopefully that will change soon! I'd go for either (or a mix of) hibuna (common), comets, or wakin. I'm more into those streamlined goldfish now. So if all goes well, in a few months I'll have goldfish again! 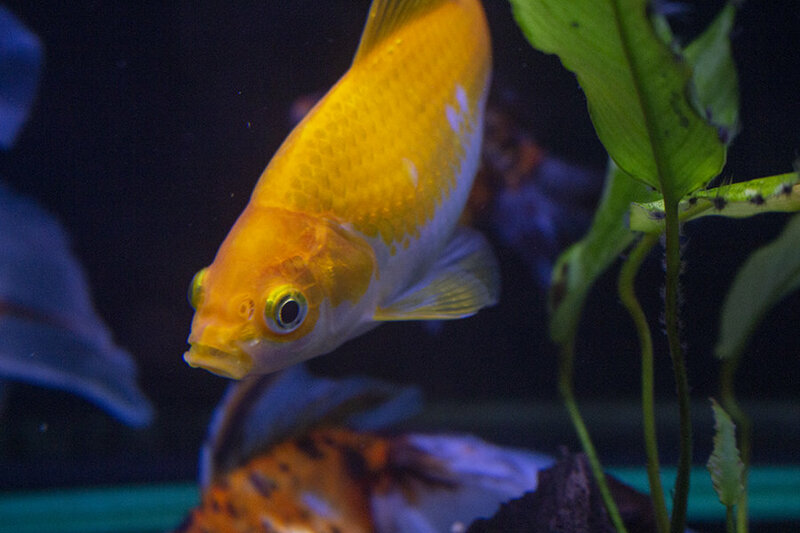 Anyone know if yellow goldfish breed true? As in, a yellow goldfish paired with another yellow goldfish would produce yellow goldfish offspring? I have no idea! Would be interesting to try. Wow! Stunning! Really stunning!! Thanks for posting that beauty! Is that a RainGarden fish? How old, what size? 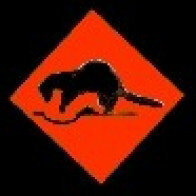 Ahh that's right! I knew you were Australian (and it even says it under you name)! That fish was quite a find at a chain store, she is a beauty! I've never seen yellows at chain stores here in the States. She was such an adorable baby, she has really grown into a stunner! Getting back to this, the TANKMASTER book Cold Water Aquarium suggests some plants for unheated tanks (around 64F, but some will be fine in colder water). Here is a quick list: Vallisneria, Myriophyllum, Elodea canadensis, Bacopa caroliniana, Hygrophila polysperma, Cryptocoryne wilisii, Sagittaria pusilla, Lobelia cardinalis, Ludwigia, Armoracia aquatic, Echinodorus Osiris, E. horemanii, E. uruguayensis, Lysimachia nummularia, Saururus cernuus, Hydrocotyle, Cabomba caroliniana, Ceratophyllum demersum. 2) Grow potted plants. Drainage holes at the bottom help with cleaning. Just be sure to use large heavy gravel at the top to prevent goldfish from uprooting plants. 3) Use floating plants. With some nice rocks or wood, it can look amazing. Note that floating plants often create too much shade for submerged plants to grow under the floaters. 4) Grow Riparium Plants. 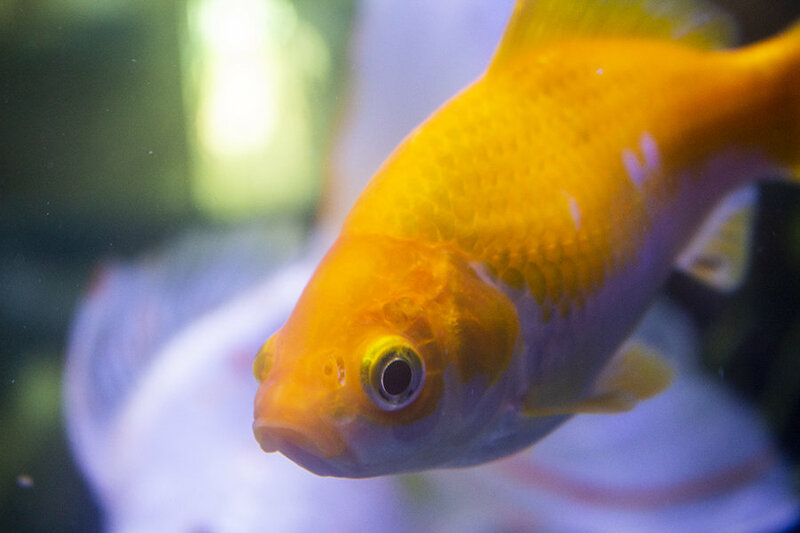 Plants stay above the water and prevent goldfish from uprooting them and/or eating them. The plants get most all of their nutrients from fish poop. Also, no Co2 needed! Golden comets, as they are always sold as are quite common in chain stores here! They often have whole tanks full of them. I would drool all over a tank full of "golden comets"! That would be such a sight! If you ever took a photo of that . . . I'd love to see . . . I'll definitely take a photo next time! Today is my day off, so I'm going to clean my aquarium now! I got really excited, and thought this was your tank. Haha! Lucky, in my area they charge an arm and a leg.